Long time no post. In part because we just had a baby! 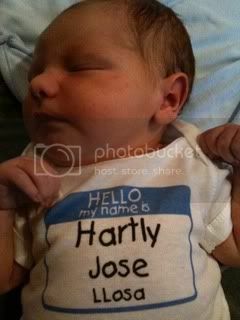 Hartly Jose LLosa and have been settling into the new house on Lake Barcroft. (see more below). Also I have been posting a weekly video column for INMAN news called the Wheel Estate Cam. The video blog is mainly broker to agent focused advice. This is video #30 on the Fiduciary Duty of Realtors and it is particularly relevant to consumers buying real estate in Virginia, DC and Maryland. Also it gives you a glimpse into how we work. Our House Update: We bought a house on Lake Barcroft in Falls Church, Virginia. While it has had major money pit-type problems (see my 10 favorite upgrades), I absolutely love living on a 135 acre LAKE only 8 miles from DC. If you are considering buying on or near this secret gem (Lake Barcroft), let me know and I can take you on a private boat ride of the homes for sale (requires lender pre-qual letter). Cliche closing statement: I’m not posting as frequently here, but I am posting on Twitter @franklyrealty and Inman (above). And of course, you can still contact me for your Virginia, DC or MD real estate needs, and no.. I’m not too busy for you, see here! I didn’t hear anywhere in the video of why and how the fiduciary duty is imposed. In law it is imposed via the BAR and the attorney-client contract, which as been upheld via court decisions. 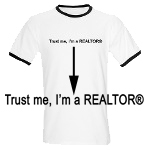 I would like to see where agent fiduciary duty is imposed either in NAR membership and/or the agency contract. My understanding is that it’s just the opposite. Thanks in advance for clarifying. A baby, a house and a Law degree on the way!! Hope you are getting some sleep. Enjoy the baby.. they grow up too fast! The fiduciary duty of a real estate agent applies to all Realtors all over the U.S. (At least it should). Our team in Scottsdale, AZ is absolutely upfront and honest with clients and have lost deals because we tell them the truth when the property they want or timing or the purchase isn’t realistic for them. Speaking of fiduciary duties amongst agents. We recently lost out on a sale fraught with conflicts of interest. Basically the winning couple came in to the 1st open house, “following the signs”, and an aggressive sellside agent spoke with them. They did not have an agent and needed to also sell their smaller home. The aggressive listing team agent put on the full court press, signed up for both agency contracts within 24 hrs, then proceeded to push their contract with the house we submitted for too. The technical “listing agent” strategically stayed out of the picture. I would love to know what the seller thought. Still no paper trail on fiduciary duty. Sounds like lip service with no teeth. Not sure I understand your comment.